The streak continues for the Crested Butte Titans hockey team as they handed the Standley Lake Gators a 4-1 loss and remain at the top of their conference standings. 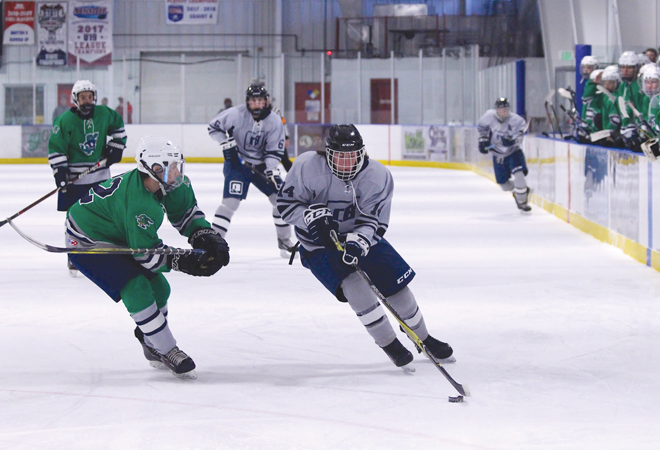 The Titans started off the game a bit off balance as coach Billy Watson mixed up his lines for the first couple of shifts and Standley Lake had the Titans pinned in their own zone. 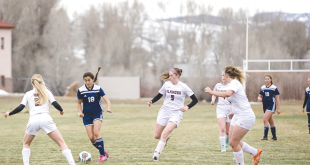 Standley Lake had a quality chance on net in the seventh minute as their breakout set up a golden chance on the Titans’ net but Shaughn Rourke made the first and second save to deny the Gators. The Titans found their feet midway through the first period though and turned the tide in their favor when Dom Piccaro skated up the boards to pick up a loose puck and made a quick backhand pass to Sam Stepanek crashing the net and Stepanek scored. “When you go to the net, good things happen,” says Watson. Two minutes later Joe Coburn’s effort and Hunter Wright’s heads up play set up the Titans’ second goal. While Coburn battled for the puck in the corner, Wright skated up ice in support, pulled the puck back and dished it to Ted Trujillo in the high slot and Trujillo buried his shot top shelf for a 2-0 Titans lead. “It was really good to see Joe’s work pay off and it was really good for Teddy—he needed one,” says Watson. The Titans continued to set the tone in the opening minutes of the second period but the Gators turned the tables, scoring on a power play. The goal ignited Standley Lake and had them outpacing the Titans and racking up another penalty for another powerplay. Crested Butte held them off on the second powerplay chance and recovered to match the effort of Standley Lake. Crested Butte closed the period with a powerplay of their own and set up shop taking shots, but never found the back of the net. Crested Butte opened the third period with another powerplay that turned into a five-on-three situation but the Gators’ positioning flummoxed Crested Butte, leaving the Titans little room for opportunity. After killing off back-to-back penalties, Standley Lake looked to rebuild momentum as a Titan penalty had the Gators on their fourth powerplay of the game. “That’s definitely a huge momentum swing and I was definitely worried about it,” says Watson. Fortunately, the Titans penalty kill was equally well organized and effective and that turned the energy up for Crested Butte. They turned that energy into goals as a picture-perfect breakout had the puck on Jakub Kozanyi’s stick and flying. Kozanyi found Graham Barrett up ice with a pinpoint pass and Barrett carried the puck to net and scored for a 3-1 Titans lead. Three minutes later a shot by John Smith from the point trickled between the pads of the Gator goalie and Coburn slipped in behind to push the puck over the line for a 4-1 Titans advantage. The Titans skated through the final five minutes of the game in control, including killing off one last penalty, and skated away with the 4-1 win. Rourke finished the game with 22 saves. 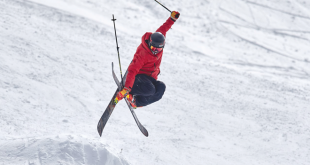 Crested Butte will have its hand full this weekend as they host Aspen in Gunnison on Friday at 6 p.m. and Saturday at high noon.